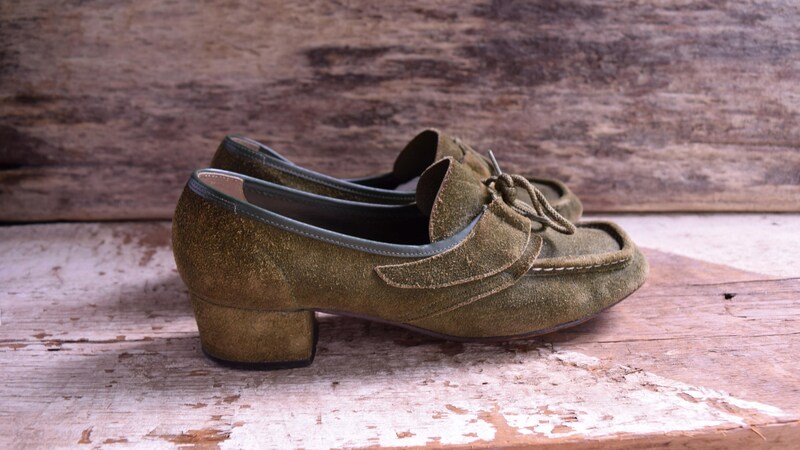 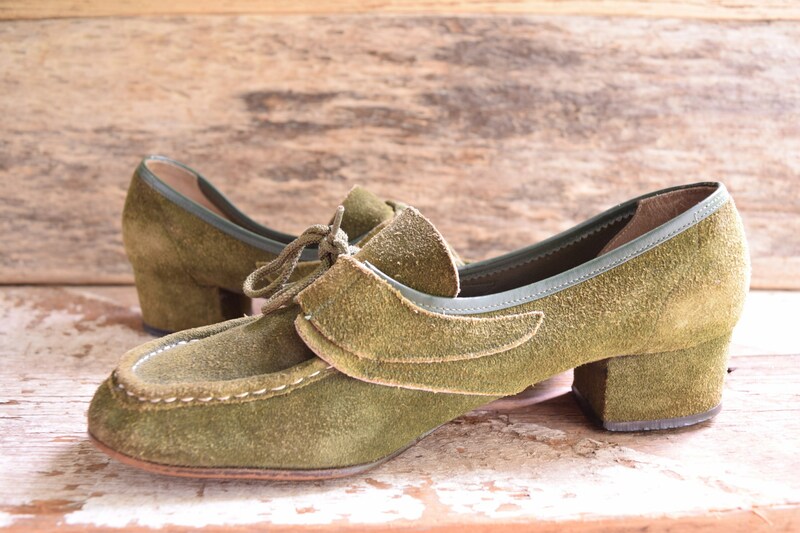 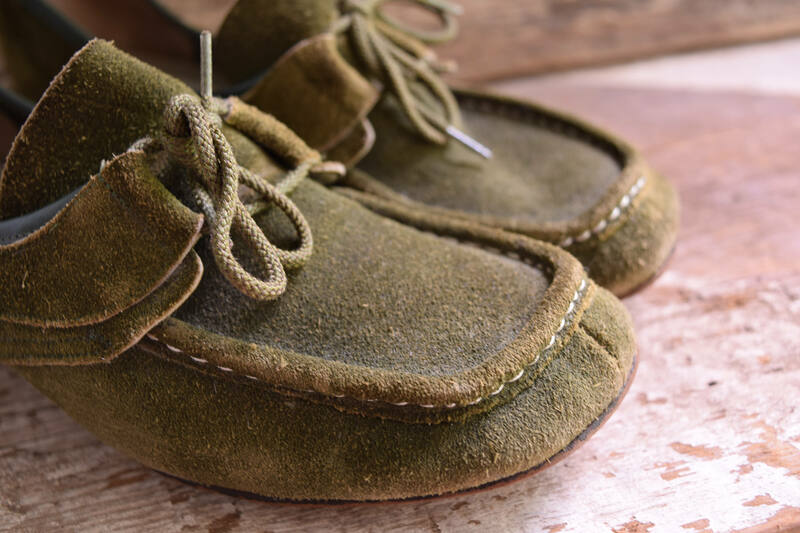 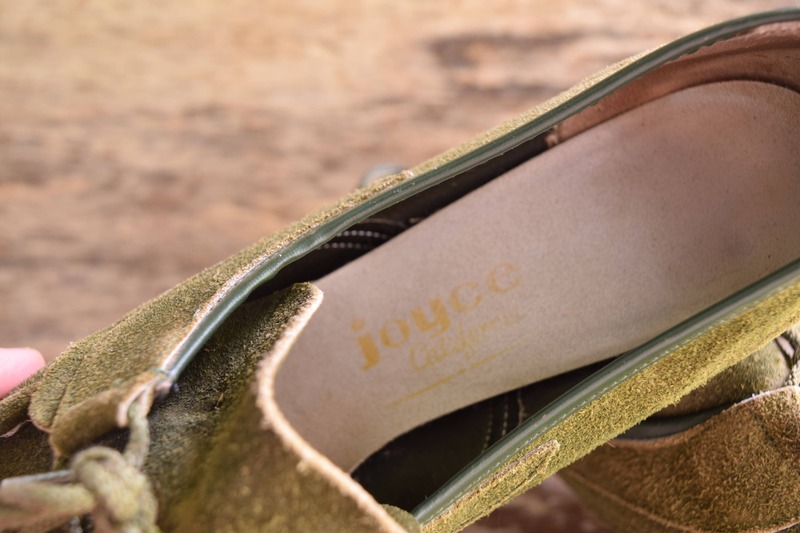 Splash some color this fall with these stunning green suede shoes. 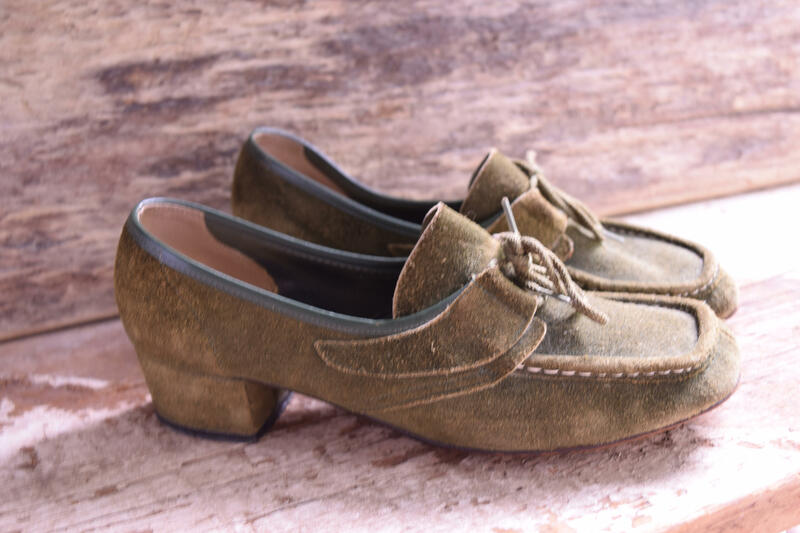 Size 7, these lace up loafer style heels feature a 2.5 inch heel and wonderful light stitching accents around the toe. 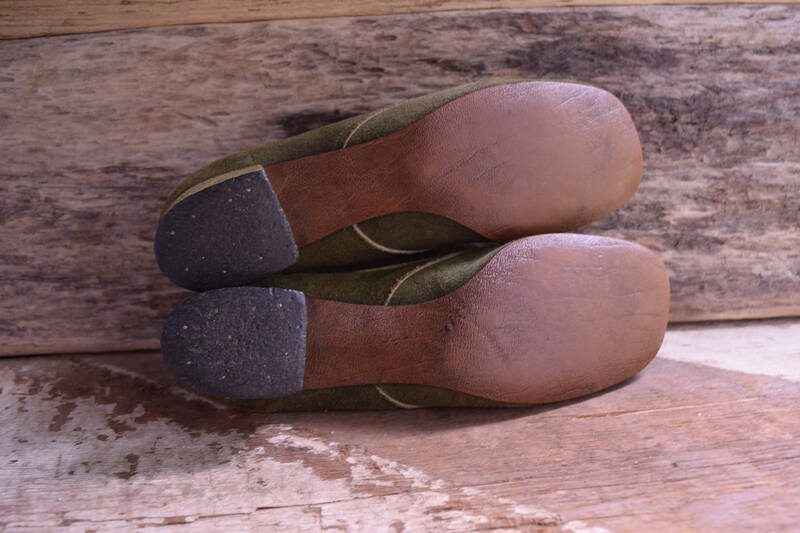 They're perfect for back to school, work and even a casual day out. 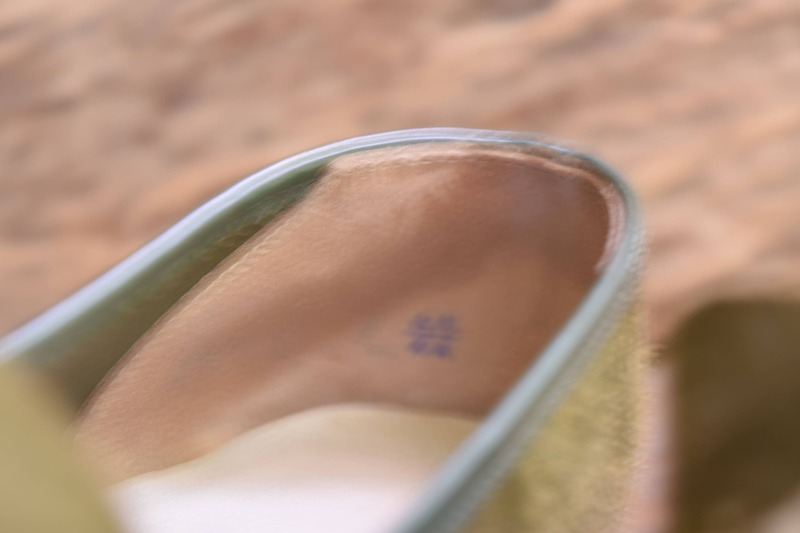 Sole has most wear on heel. 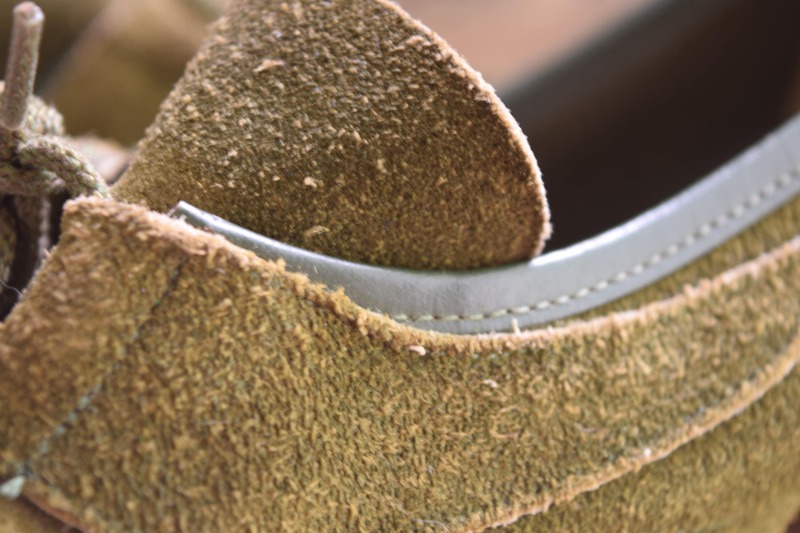 Insole is secure and well kept. 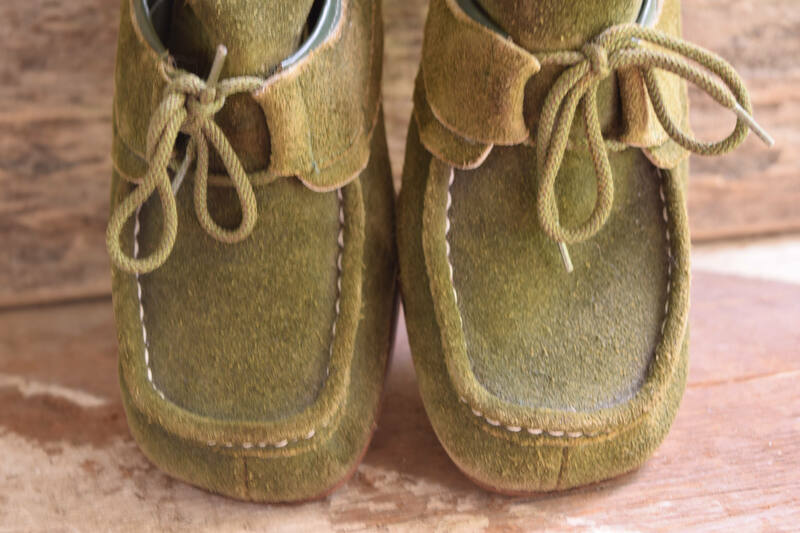 Nice details, edging is scalloped on the inside (gorgeous) and a slightly different hue from the suede. 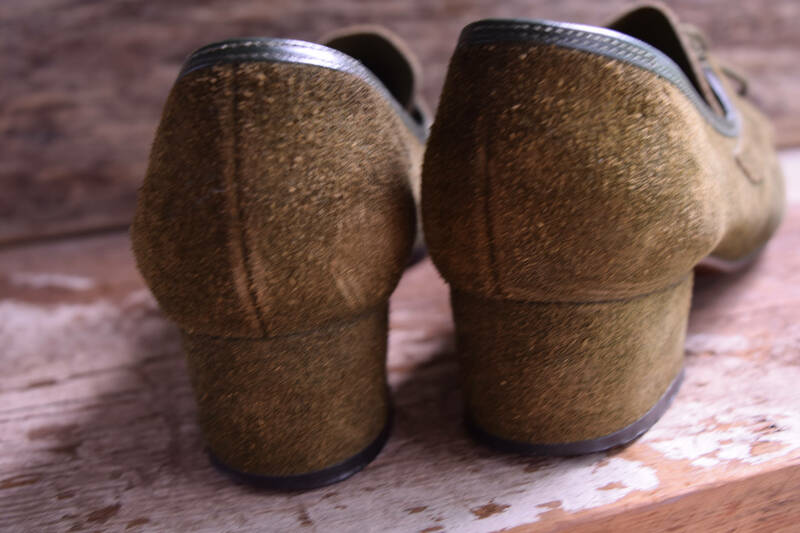 Please see images and feel free to ask any questions you may have.